I was accepted to join the Emerging Translators’ scheme, a great initiative run by New Books in German, which involves translating an extract of a novel and the opportunity to discuss my work and others’ at a day workshop with 5 other translators and the venerable, multilingual and prolific translator Shaun Whiteside. 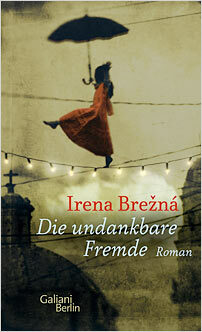 The piece I was commissioned to translate was an extract from ‘Die Undankbare Fremde’ by Irena x, a Swiss Slovakian writer who, besides having produced several works of fiction, is also a publicist, former war journalist, expert in Slavic languages, psychologist and intercultural mediator. Her work on Chechnya also seems pretty interesting.